Why always wildcat strikes in Vietnam? Since the reform from a command economy to a market economy in the early 1990s, labour relations in Vietnam have also changed, with more widespread disputes and strikes. Since 1995, when the Labour Code of the Socialist Republic of Vietnam first took effect, there were more than 6000 strikes, but what is remarkable is none of these were legal (The Labour Newspaper, 2017). A legal strike has to fulfill two criteria,: firstly, it can only take place after a procedure stipulated by the law which rules out rights-based strikes; and secondly, it has to be led by a trade union. However, all strike incidents in Vietnam appear to be sponteneous and unorganised, and thus are illegal and refered to as wildcat strikes. The procedure in Article 209 of the Labour Code of Vietnam provides for ‘interest-based’ strikes, that is strikes about labour disputes on matters not regulated by the law or in an existing collective bargaining agreement. Rights-based strikes are considered illegal and any dispute over rights is subject to settlement at court, which is often costly and time consuming. Court rules are unenforcable in a number of cases. Futhermore, the law concerning the right to strike provides for difficult and lengthly formal procedures (Articles 212 and 213 of the Labour Code). A collective labour dispute must first go through compulsory mediation and arbitration, where it is also decided whether the dispute is right-based or interest-based. These mechanisms often give trade unions and workers a hard time before any possiblity of going on strike. On top of that unions must fulfil heavily bureacratic requirements such as getting signatures of at least 50% of workers, specifying in writing the time, venue, scope and demands of the strike, providing names and addresses of contact persons from the trade union committee, and sending a copy of the strike decision to employers, the upper-level trade union and the state labour management agency in advance. It might take three weeks from the declaration of a labour dispute until a legal strike can take place. As a result, workers suffering from employers’ violations and unfair treatments have no better choice than to walk out. According to statistics from the Vietnam General Confederation of Labour (VGCL), up to 40% of strikes recorded from 1995 have been rights-based strikes (VGCL, 2016). In an immature industrial relations system where violations are widespread and dispute settlement mechanisms do not fuction properly, the exclusion of rights-based strikes and bureacratic procedures have been legal constraints on trade unions’ involvement in workers’ strikes. By law, the entire Vietnamese workforce is represented by the VGCL, a ‘socio-political organisation’ founded in 1929 in the country’s struggle for independence. 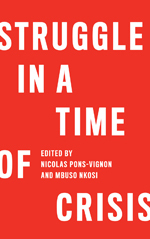 Despite the economic reforms and the promulgation of new labour laws in the early 1990s, the system has not reformed itself so trade unions are able to organise strikes. The role of trade unions in the political system is historically grounded. The VGCL was founded even before the Communist Party of Vietnam. The very first unions were created to fight against oppression and exploitation of feudalism and colonialism. Under the national liberation movement, trade unions were aware of the important and common goal of national independence towards thorough and radical elimination of oppression and exploitation for full liberation of workers. Trade unions started to mobilise workers under the leadership of the Party towards the liberation of the country. In peace time, trade unions together with the state and business (which only consisted of state owned enterprises before Doi Moi (an earlier phase of economic reform) in 1986) mobilised workers for production to rebuild the country. This background tied the Party, the state and the VGCL into a political system for national liberation, reconstruction and development. All problems were to be solved together, based on the notion that there is no conflict of interest, and therefore there were no reported strikes. In the transition to a market economy, conflicts of interest arose and wildcat strikes were widespread in the early 2000s amidst the influx of foreign investment. Strikes happened much more in foreign-investment enterprises than in state-owned or domestic enterpises (Chi, 2007). With the political mandate, trade unions play the role of bridging beween workers and employers in an effort to ensure ‘harmonious labour relations’ in which employment and production are both achieved. In that system, strikes are perceived as unhealthy. As Vietnam integrates deeper into the world economy, the pressure on the VGCL to perform representational roles becomes ever greater. However, constrained by its own political mandate, the VGCL finds itself in a difficult position regarding strikes. Interviews with trade union representatives, workers and even management revealed that in many cases trade unions, though not able to lead strikes themselves, implicitly support wildcat strikes and at the same time play a mediative role to settle the dispute in workers’ interest. In the planned economy, trade unions played a distributive role in which they helped the management to mobilise workers to produce the pie and then, together with the management, to distribute the pie amongst workers and managers along the principle ‘working together and sharing together’. This defined the union committee structure at grassroots level as including members of the management, who usually hold the leading posts. It was presumed that there were no conflicts between workers’ and managers’ interests in state-owned enterprises, only disagreements over distributing the pie among workers. In a market economy, the convergence of workers’ and management interests started to become the divergence of workers’ and employers’ interests. The distributive role of trade unions transformed to a role negotiating between conflicting interests. However, the old union committee structure persists. Having management in union structures is thought to avoid discrimination against union activities and improve their bargaining position. It is the illusion of keeping harmonious labour relations despite growing conflict of interests in the workplace that prevents grassroots trade unions from restructuring to facillitate collective action and strikes. To ‘take care’ of its members, the VGCL provides social services such as social activities, gifts on special occasions, medical examinations, and nutrition advice. In addition, unions provide legal advice and protection to workers. Collective bargaining is yet another service in VGCL’s supply: they bargain for workers while workers stand outside the process. At the workplace, unions under VGCL act as a third party, who draft the collective bargaining agreement, formally collect workers’ opinions, and negotiate with the employer. This is all done in a manner where collective action and strikes are not considered. Without workers’ leverage to shift the balance of power, VGCL’s version of collective bargaining is ‘giving and taking’. The tradition and culture in Vietnam limits thinking in application of law. The VGCL’s operation is confined to doing what is prescribed in the law instead of doing what the law does not prohibit. Therefore, anything which is not clearly stated in the law is difficult for the VGCL. For example, in one enterprise in Ho Chi Minh City, the employer refused to negotiate workers’ lunch. Since it is not covered by the law as content for collective bargaining, the company union could not make further demands. Vietnamese law has not provided detail on types of collective actions. Union leaders are confused and fearful and do not know how to deal with problems which are not specified or ambiguous in the law. Strikes in Vietnam have been and will always be wildcat strikes if there is no institutional change. Wildcat strikes help address workers’ immediate demands but do not contribute to collective bargaining, strengthen union organisation, nor develop sound industrial relations in Vietnam. The prevalence of wildcat strikes in recent years has been of great concern to the government as a cause of social disorder and instability which may damage the climate for investment. To encourage legal strikes, Vietnamese labour law must be revised to comply with international standards, especially standards of freedom of association and collective bargaining. The VGCL has to reform from grassroots to central level, first and foremost separating the management from the union, change its mindset in applying laws, and move from the service model based on the law to the organising model based on members. Above all, it needs to be autonomous within the political system. Only then would industrial relations in Vietnam develop. VGCL regularly updates statistics on strikes from the input of its provincial, district or upper-level and grassroots unions nation-wide. The Institute for Workers and Trade Unions (IWTU), a think-tank of the VGCL, does interviews regularly in its survey of statistics to claim minimum wage increase in the National Wage Council every year. Pham Thi Thu Lan worked in the International Department of the Vietnam General Confederation of Labour (VGCL) since 1994. She started research work in the Institute for Workers and Trade Unions (IWTU) in 2016. 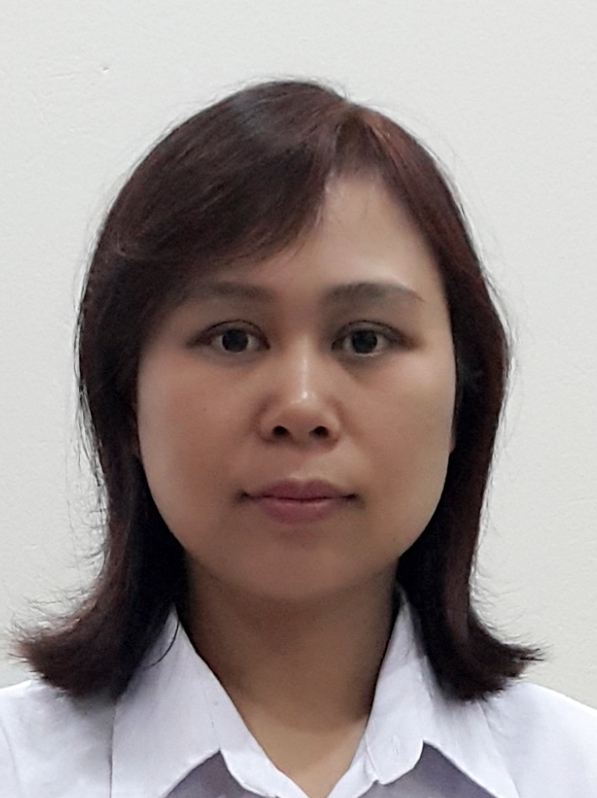 Currently, she is Deputy-Director of the IWTU. The Labour Newspaper (2017) ‘The strike procedure is too long and complicated’ (in Vietnamese), The Labour Newspaper, 12 April. VGCL (2017) ‘Report on strikes presented by the Industrial Relations Department of the VGCL,’ presented to the FES-VGCL workshop on the draft of the Labour Code (revised) in Hanoi, 10-11 April.